I’ve spent a lot of time lately making this site, and my others, very search engine optimized (SEO). It works too. I have no complaints about my traffic from search engines. I’ve got this site running like a well-oiled machine now. When I started Creative Twilight, it was a place to post my thoughts and musings on Warhammer 40K. Eventually I posted miniatures I was working on, then later battle reports, etc. In short, I wrote a lot of stuff. However, time went on and free time dwindled, interests changed, etc. That’s when I really focused on SEO, to drive traffic here from search engines as I wasn’t putting out consistently fresh material to drive traffic that way. I mean, SEO is something every site needs regardless, but I was/am reliant on it. Anyway, I’ve realized that I’m not really blogging any more, at least not in that traditional sense of the term. It’s something I miss doing, engaging with the community, being a part of something larger. So, let’s start that again, shall we? 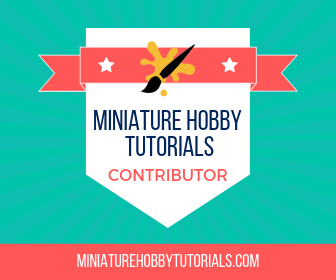 Going back to the site thing, just a reminder that I started a new site called Miniature Hobby Tutorials. It’s what it sounds like too, and I’ve got some more info on it as well. We started up the 3rd season of Blood Bowl at my FLGS. As usual, I’m playing my Human team, the Titan Bay Thunderhawks. I considered getting the new Chaos box, but I didn’t have enough time to get them all painted before the season, so I stuck to the routine. My first game was a friendly to teach a buddy how to play. I mean friendly in the sense of it being part of league-play but not a season game. If you play BB then you know what I’m talking about. Anyway, my first Blitz of the game saw my Blitzer die to Double Skulls. We ended at the half on account of time and I lost 1-0 as well. I played last night, another friendly, against Dark Elves. It was an awesome game that saw Rian come away with it 2-1. It all came down to the first turnover of the game on my part. Neither of us had a turnover at all and then around turn #4 in the second half I failed a block, turned it over, and Rian ran away with my ball and got a TD. Hopefully next week I get in my first season game. Of course, Nightvault gets released while I’m doing a Blood Bowl season. I meant to pick it up last night but totally forgot. So, I’ve no idea how Nightvault plays out other than what WestRider had to say on her blog. Definitely looking forward to some games though. 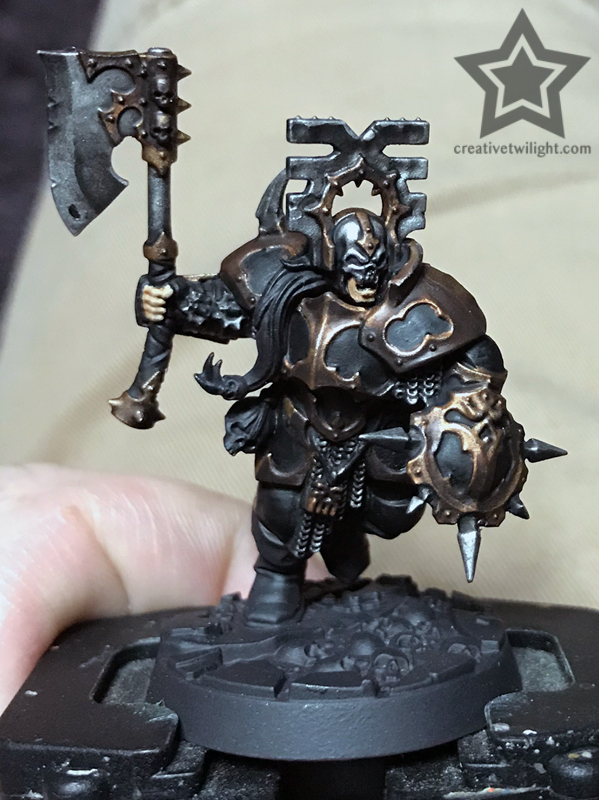 I likely won’t get the chance to play for a few more weeks, but I am still working on painting in the meantime. I’m still muddling through my Magore’s Fiends right now. There’s a long story there, one I’ll tell when the warband is done. Speaking of, it’s very close. Here’s the most recent shot I took of Zharkus. I’ve done a bit more since this shot. Oh, if you didn’t know, I have another site called Miniature Storage. Guess what that site is about? Yep, miniature storage! Exciting! OK, it’s not exciting but it’s practical. Speaking of, I just did a review for the A-Case+ over there that may be of interest to those after a magnetic miniature case. So, I’ll try to do these now and then. I don’t like to set schedules for articles, because then I feel obligated to post whether I have something to say or not, but I’ll try to blog a bit more often. I love writing up guides, tutorials, and resources, but sometimes you just gotta write for the fun of it. Whatcha been up to? Gaming, painting, something else? I had an article drafted on social media and blogging but it was too self-loathing for my liking. Needless to say, I agree. I have been meaning to post some WIPs. Going to try and make that more of a routine again here.